Your New Holiday Libation…Your Welcome. Ever sang the Peanut Butter and Jelly song with a group of kids a your local library’s toddler story time? It’s adorable. You know what’s more fun then going to toddler story time? Drinking beer. Seriously…try it for yourself and compare. I did a party before Thanksgiving; before the party the host and I were chatting about this and that when the conversation turned to beer. He mentioned a concoction that I had never heard of, but for the life of me, I don’t see how that was possible. It’s such a stupid easy idea, that it made me realize I have a long way to go as far as human development and the usage of my obviously feeble brain. For two years or so, I’ve known about Peanut Butter Stout. A popular and wonderfully balanced stout from San Diego’s own, Belching Beaver Brewery in Vista; with a tasting room in North Park. The host of the party asked me if I had ever had a PB&J beer. An eyebrow raising “noooooooo?” was my reply. I figured I knew the peanut butter side of it and I was right. Out comes a bottle of peanut butter stout, (the peanut butter). 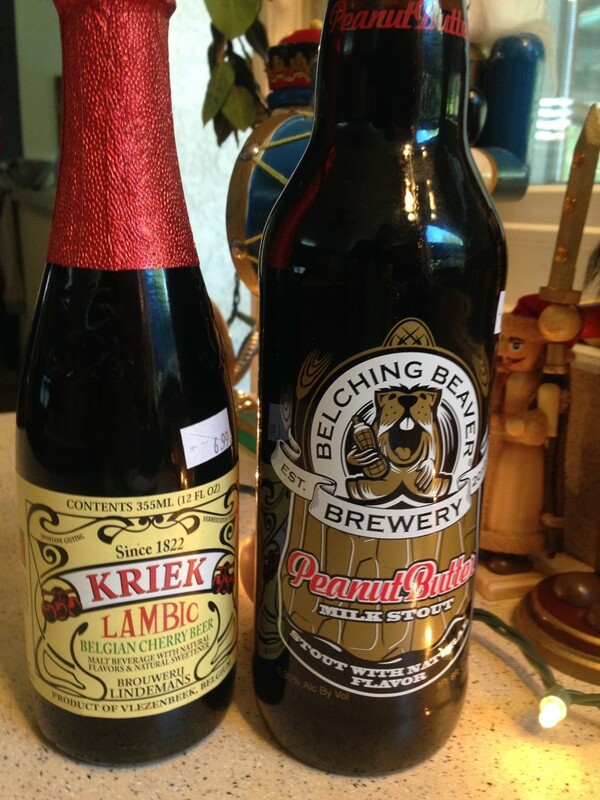 Then for the jelly, he used a Belgium Kriek Lambic (cherry beer), from Brouwerij Lindemans. I’m sure there are other beers for the jelly, like raspberry or whatever, but this one seemed like the best of what was available. Somewhere around a 60-40/70-30 ratio of stout to lambic seems like the money spot. Although not a beer you can drink all night long, this combination is all things delicious, interesting and fun. It brought a smile to my face and it was sweet without being overly sugary, just a wonderful and different holiday libation. When I served it at Thanksgiving, everyone was underwhelmed, but that was user error. I served them right outta the fridge. This drink should be room temp on a cool day. When cold, the flavors are muted and it just tastes sweet, fizzy and confusing. Cooking Wine…Or Wine To Cook With? If you can’t drink it don’t cook with it right? Right! But that doesn’t mean you need to cook with the wine you are drinking, ah-ha! First off, never, ever…ever, ever, ever, buy anything labeled “Cooking Wine”. Unless you jones for that bitter, flat, vinegar rush. On the other end of the spectrum; cooking with a $20-$50 bottle of wine is, (in this cooks mind), a complete waste of money. Kinda like sauteing with extra virgin olive oil. Wine is alive and only heated to around 70 degrees, then it starts to die soon after 100. Cooking wine, destroys all that the winemaker has tirelessly worked to achieve. Those delicate nuances that shift and change, open and develop, making it an “experience”…hopefully. Can using a good wine make a sauce better? Yes, but I have a budget to stay under so I’d rather drink the good stuff and cook with a lower quality wine. There are a couple great options for low cost wine. Charles Shaw (2 buck chuck) at Trader Joe’s, or, Big Kahuna at Fresh and Easy are both $2 bottles and usually very drinkable. There are some caviates if you use them as drinking wine. They have zero shelf life, (so don’t buy too many) and quality varies from batch to batch/year to year. If you didn’t like it last year, give it another shot; they stay inexpensive because the wine makers change up where the grapes come from depending on price. You’d be surprised how well these wines do in a blind taste test going up against $15 and under bottles; 3 times now they’ve come in the top 3 of 10-16 bottles. 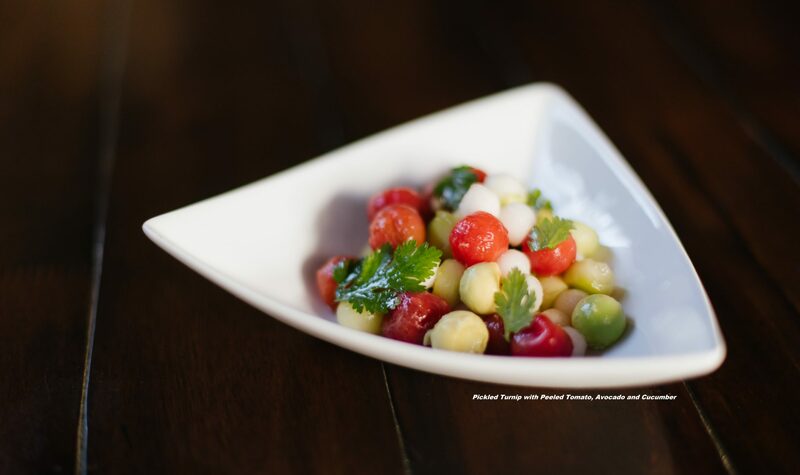 As for cooking with these wines, remember that a small pinch of sugar can go a long way if there is too much acidity. This isn’t cheating, this is chemistry. So remember, if price is no option then none of this matters; but if you’re like me and hate to waste money. There are wonderful inexpensive substitutes to take advantage of…and that’s exactly what you should do. 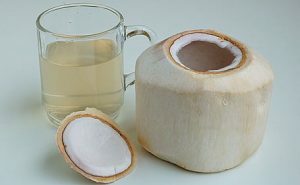 Ever had the water from a young coconut? This water is the most hydrating liquid on the planet with so many vitamins and nutrients, your body won’t even know what’s going on. Actually there’s more truth to that then you know, as it’s also a mild diuretic on the same level as coffee. Those “symptoms” fade away as you get used to it. I drink raw coconut water whenever I get the chance and I firmly believe the raw coconut water “IN” the coconut, is light years better then ANY packaged brand. I’ve tried them all with varying results, but the one thing they all have in common is they are all pasteurized. You can go ahead and wave goodbye to 50% of it’s nutritive properties right there. I WILL say, the no added sugar varieties are a wonderfully convenient substitute for the raw version and work great for hydrating purposes. Here is a link to more of it’s nutritional content and, here’s a link to help you properly open a young coconut. When it comes to opening one, I don’t hold the coconut in my hand, but rather keep it on the cutting board. I use the heel of my knife to make 3 firm hacks about an inch and a half in diameter around the tip. To scrape out the highly nutritious meat you can search for another video…I’m just trying to let you in on the water. If you don’t love this stuff…try it again. Btw, coconut oil is also the most versatile and beneficial oil on the planet as well. Ah, but that’s another blog for another day. Our plan was to let the peels sit for several days, but after 24 hours it tasted delicious. Nice refreshing lemon flavor and a nice yellow color to boot. But…since we had a plan, we pushed on for another 24 hours and let it sit. What we ended up with was an awesome all purpose cleaner, degreaser, lemon oil solvent. Oh bugger. It was really bright yellow and you could see the oil separate from the vodka. So, like the genius I am, we combined the beautiful product that sat for one day with the pledge smelling solvent of the second day and made a whole gallon of mediocre/ohmygodthatsnasty lemon vodka. We’ve had an interesting time making it into cocktails; it’s like back room prohibition era swill. It did leave the counters clean when I wiped it up after a spill; plus it smelled like pledge so everything smelled clean and free of dust. It did however taste pretty good in a Bloody Mary and yes, we will be doing this again, now that we know the proper timeline. 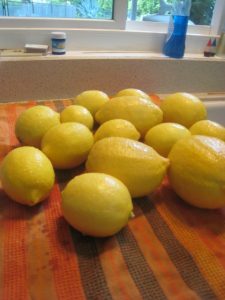 We have lots of lemons as you can see…they come from our lemon tree. The harvest becomes especially large when my wife gets jiggy with the tree trimmer. We’re left with a big ol’ pile, more than we’ll use for simple cooking and cleaning needs. Also, we don’t love the constant sugar influx that all the lemonade brings. Well, back to all those lemons…what to do, what to do? 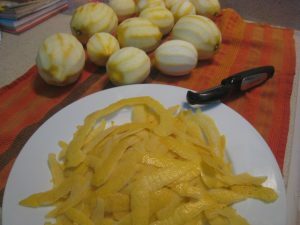 We thought it’d be fun to make limonocello, like the kind my mom brought back from Italy. But, we don’t love our liquor sugary, so we went with a simple answer…lemon vodka. Our method was highly scientific, involving the strenuous task of peeling 10 lemons and adding it to vodka…hope you were able to follow all of that. After we added the rinds we let it soak for a day. Plenty of lemon flavor after one day, but we’ll let the other handle go a couple more. My guess is it’ll get more lemony…gigitty. If it’s too lemony, I’ll take it upon myself to finish the handle alone; thereby saving those I know and love from unnecessary pucker. Peel the rind off, avoiding getting any white pith. 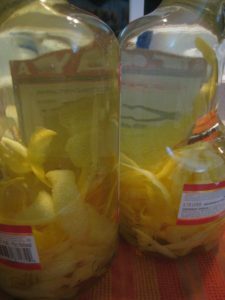 Take out some vodka from the bottles and drink that vodka so you have room for the lemon peels. Add lemon peels. Refrigerate for a day, then drink some more vodka. Tastes like juice but is mostly wine with a bit of brandy. I personally love sneaky drinks. I don’t always love to drink them (usually too sweet), but I love serving them. People who are not as likely to imbibe are much more apt to have a glass of fruit ladened Sangria then a cocktail or beer. This means your buzz to guest ratio increases; which means more smiles and laughter, which is usually the point of most gatherings.Spanish in origin and translated to “The Color of Blood”, its typical components are red wine, fruit, and brandy; with many recipes adding fruit juice, soda or soda water.However, white wine can also be used as the base and results are just as refreshing and delicious; with a lighter, brighter, summerier feel. Yes summerier…I looked it up. 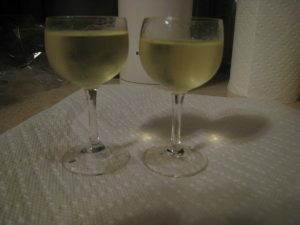 A couple months ago while teaching a cooking class a nice young lady forwarded me this white Sangria recipe. I still haven’t made it but a friend of mine did, and luckily she gave us a bunch. We drank the crap out of it and fought over the last glass…I won. It was summer in a glass and didn’t get old. I even added some of my lemon vodka to give it…more. The earthy flavors of the clove and cinnamon add a softness to the crisp asian quality of the orange, lemongrass, and ginger. If you can’t find the lime leaves at your local Asian grocer, use lime peel.We just went to a 30th birthday where there was a ginormous bowl of tasty sangria keepin’ tha ladiez happy.Although I was experimenting with every other drink that night, I did get to taste the Sangria… and it was great. The only difference is, it wasn’t really Sangria, or was it?Big Kahuna and Sierra mist at a 2 to 1 ratio was all that was needed to please the crowd. Sure there was some fruit mixed in, but that was just for show. For the un-initiated, Big Kahuna is Fresh and Easy’s Charles Shaw, and Sierra mist is their Sprite.So, it’s up to you. You can create smiles with Sprite and cheap wine, or go all out with a bunch of ingredients. Just put it over ice and turn the music up.Now get off the computer and go get your summer drank on.